Codeine, a common ingredient in cough medicines, is barely more effective than a dummy drug in treating coughing in chronic lung disease, a study finds. Manchester University researchers monitored patients with chronic obstructive pulmonary disease (COPD) via microphones on their lapels. The research is published in the latest issue of the Journal of Allergy and Clinical Immunology. Experts said codeine could suppress, but not treat, cough in COPD. The researchers from the North West Lung Centre, at Wythenshawe Hospital, triggered coughing using citric acid in 24 patients with COPD. They then gave them their allotted treatment and monitored their coughing for 10 hours, while they were awake and moving around and while they were asleep. After the placebo treatment the patients' coughing fell from an average of 8.27 seconds per hour to 7.22 seconds. Those given codeine saw their coughing fall to 6.41 seconds per hour. Lead researcher Dr Jaclyn Smith said: "Codeine has long been considered the standard anti-cough agent against which others are measured, but until now little has been known about its impact in patients with chronic lung diseases. "From a statistical standpoint there was really no difference between codeine and the placebo - despite the fact that the dose of codeine used far exceeds that in over-the-counter cough remedies." She added: "The effective treatment of chronic dry cough is an important unmet need in patients with chronic respiratory diseases, post-viral coughing and persistent coughing of unknown cause. "Studies of cough in other clinical situations are urgently needed if codeine is to be continued to be used as a remedy." Dr Richard Russell, a spokesman for the British Thoracic Society, said: "Cough is a huge problem, and can be very debilitating. "The cough seen in COPD is very different to an idiopathic cough, [where there is no recognised cause]. "In COPD, there can be a number of causes, such as sputum production and airway inflammation. When you treat those causes, the cough gets better." He said codeine could help someone cope with a cough. "Codeine does have a strong suppressant action, but it's not treating the cause." He said anyone with a cough which persisted for longer than two weeks, brought up blood or who had other symptoms such as fever, should see their doctor. A spokesman for the Proprietary Association of Great Britain, (PAGB) which represents the makers of over-the-counter medicines, said: "The people in the study had chronic lung disease and were not typical users of over-the-counter cough medicines." 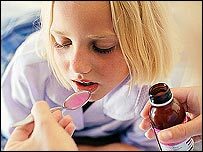 He added: "Research carried out on behalf of PAGB amongst consumers found that in 90% of cases, cough medicines were described as effective and 90% of people would use the product again to treat the same problem."